Chelmsford, Massachusetts is a quaint suburb in Middlesex County with well-preserved historic architecture and an active community. Scenic beauty in nestled trails, beaches at lakes and ponds and pathways give Chelmsford that small-town feel and reflect its rural past; however, the town, originally settled in 1653 as one of the Massachusetts Bay Colonies, offers much more than just aesthetic charm. 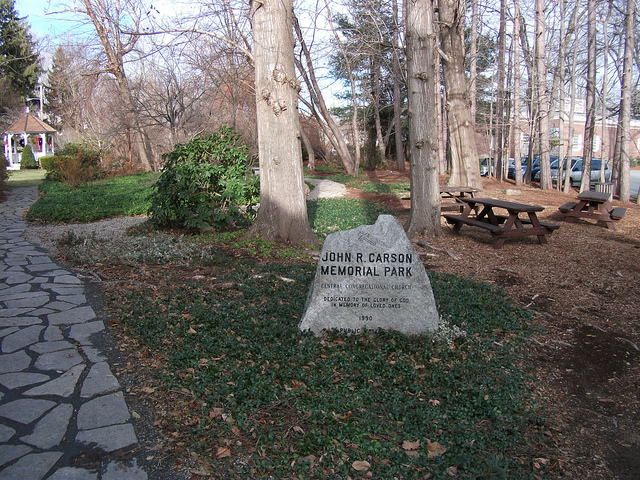 Part of the Greater Lowell, MA metropolitan area, it was voted in the top 100 Best Places to Live in the US by Money Magazine in 2007 and again in 2011. Besides Lowell, MA on its northeast, Chelmsford's 23.2 square miles are surrounded by five towns, including Tyngsborough, MA to the north, Tewksbury, MA to the east, Billerica, MA to the southeast, Carlisle, MA to the south, and Westford, MA to the west. Chelmsford also is bordered by the Merrimack River to the north, and the Concord River to the east. As of the 2010 U.S. Census, Chelmsford had a population of 33,802. Chelmsford is a great place for recreation, leisure, and outdoor activities. The town has various parks and fields for residents to enjoy, and the Chelmsford recreation department also manages a skateboard park and two lakeside beaches. There is a nine-hole golf course and driving range available at the Chelmsford Country Club, and Chelmsford is a part of the Bruce Freeman Rail Trail made for cyclists and pedestrians. The Rail Trail currently offers a seven-mile trail that runs through Chelmsford, Lowell and Westford. When the project is complete, the trail will be 25 miles long and stretch all the way to Framingham. For the more adventurous residents, the 1100-acre Lowell-Dracut-Tyngsboro State Forest features activities like horseback riding, snowmobiling, hiking and seasonal hunting, and is just 7 miles away. Residents who are looking to spend more time indoors also have a wide selection of activities to choose from. Available for all ages, the Chelmsford Community Education Center offers enrichment classes and group travel opportunities to destinations like New York City and Washington, DC for nominal fees. Chelmsford’s Center for the Arts, located in its restored town hall, also hosts a variety of classes and programs for all ages. Functioning as Chelmsford’s only public art institution, the center sponsors everything from art displays to music lessons and theatre performances. Because of its early role in the country's Industrial Revolution, Chelmsford has many historical attractions for residents to enjoy. The Chelmsford Historical Society, organized in 1930, maintains small museums and well-preserved historic buildings where visitors can delve into history that predates America’s founding. The town is also home to The "Old Chelmsford" Garrison House, a museum designated National Historical Place, that displays a fully preserved former British garrison from the late 1600s. This former garrison quarters – complete with a buttery, blacksmith shop and barn – shows how the common man lived at the time of Chelmsford’s settlement. 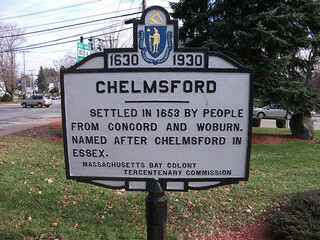 Named after Chelmsford, England, the town was incorporated in 1655. At the time of its incorporation, its local economy was fueled by lumber mills, limestone quarries and kilns. 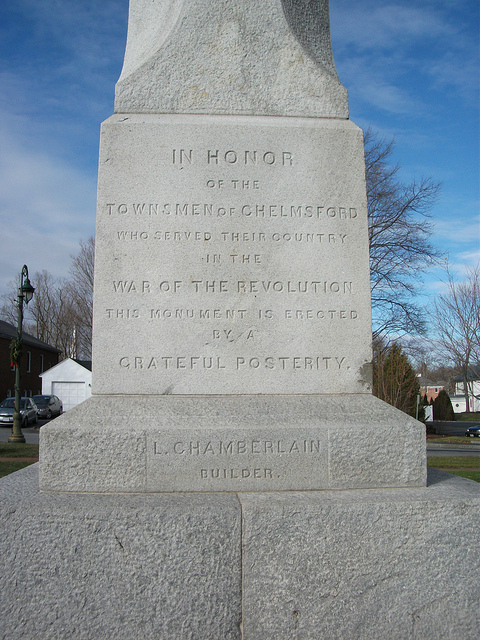 The Chelmsford militia played a role in the American Revolution at the Battle of Lexington and Concord and the Battle of Bunker Hill. In addition to its active community and rich history, Chelmsford attracts home buyers with its relatively affordable real estate and its diverse housing stock. In 2013, the median price of a single-family home in Chelmsford was $343,350, up from $320,000 in the previous year. In 2013, single-family home prices ranged from a low of $130,000 to a high of $817,750. In 2013, the median condominium price in Chelmsford was $205,000, an increase from $178,625 in 2012. In 2013, the most expensive condo sold was $477,500, while the least expensive sale was just $65,000. The Chelmsford Public School System consists of four elementary schools, two middle schools, and Chelmsford High School. Chelmsford is part of the Nashoba Valley Technical School District. Nashoba Valley Technical High School, established in 1968, is located in Westford, MA. It offers students technical training in 18 industries. Chelmsford students in grades 5 to 12 may also apply to the Innovation Academy Charter School in the neighboring town of Tyngsboro, MA. Chelmsford is conveniently located with easy access to Boston, which is only 24 miles away, the Atlantic coastline and the White Mountains of New Hampshire. The town’s residents have access to major highways, including Route 3 and Interstate 495, as well as local routes 3A, 4, 27, 110, and 129 that lead to neighboring cities. Residents can commute to Boston in about forty minutes, and they have direct routes to various points north and west of Boston. In addition, Chelmsford residents are just a twenty-minute drive from New Hampshire. The Lowell Regional Transit Authority provides bus services to nearby cities, and residents can access commuter rail service to Boston in the neighboring City of Lowell. All images courtesy of Doug Kerr via a Creative Commons license.